What is an animation effect? 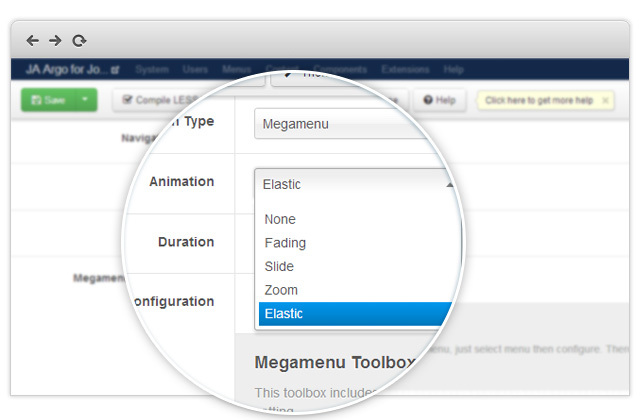 T3 Framework has recently come out with its latest feature for Megamenu: the animation effect in displaying sub-menu for Joomla! template. This happens in the seconds your sub-menu is dropping down as your mouse is hovering over a certain category in your megamenu. We have a variety of animation effects you can choose from including: Fading, Slide, Elastic, and an option None (for disable the animation effect). The default animation effect for T3 Blank template is Elastic and can be varied for others template. It really much depends on your menu type and how do you want it to look like. The speed are calculated in milliseconds and are adjustable by your integers input. Here the default speed for T3 Blank template is set at 300 milliseconds. Can I apply this new feature for all other templates using T3 Framework version 3? Yes, you can. Please also note that this feature is not available for mobile and tablet, but Off-canvas is (More insight in Off-Canvas menu for your Joomla! mobile and tablet layout can be read here). 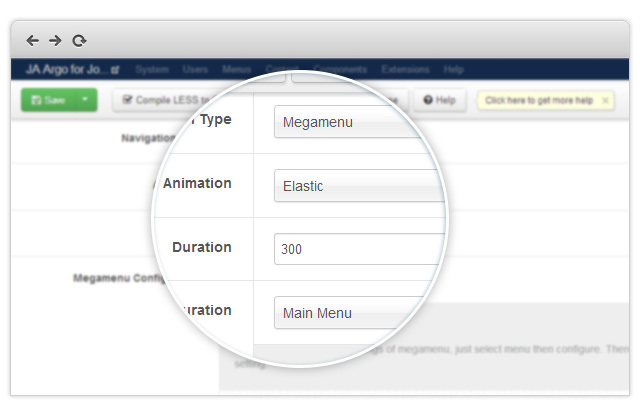 To test out this feature, you can always visit T3 Framework demo for both Joomla! 2.5 and Joomla! 3.0. The framework is free, download source is available on T3 Framework site.